the carver's hand takes too long to feel its way. It thinks it's alive and does everything better. 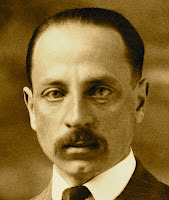 "Part Two, X" ["The Machine endangers all we have made"] by Rainer Maria Rilke, translated from the original German by Anita Barrows and Joanna Macy. Text as published In Praise of Mortality (Riverhead, 2005). Reprinted with permission. Read the German text online on p. 114 of this source.